Jim loves the F word. By F-word he means F.E.A.R. (What did you think he meant?) There are three normal responses...Fight, Flight, Freeze but with encouragement, encourages focus. F.E.A.R. (Failure. Examination. Adjustment. Recollection.) F.E.A.R. is the hidden driver of excellence. It offers management insights to overcome failure and refine what works and what doesn't. The Journey To Bright Ideas is about achieving goals, solving problems, and overcoming challenges in an uncertain economy. It’s time to think 'inside the box' and create new products and services. The need for Innovation has never been clearer. There is more competition than ever before. Because the older model of long product cycles, limited competition, and complacent consumers with little information is dying, and a newer, faster competitive model that relies on more information, more readily available, with lower costs of entry, and more competitors growing Innovation is now a requirement. It's no longer about cost cutting, outsourcing, or efficiency; it's about Innovation. As a successful innovator, change agent, and market transformer I can demonstrate to your audience how to break through complexity, constraints, and constrictions to achieve greater abundance, freedom, and success. His visuals are compelling, easy to understand containing very few words. He helps create a Brilliant Idea Checklist that will help attendees discover new opportunities using existing resources. It's about turning your focus to the science of attention to learn from others, to build on success. and create intricately simple solutions using skill, style, humor, and dedication to the end results, not the work efforts. 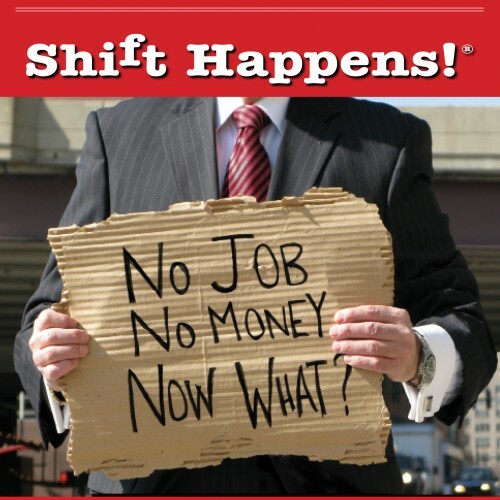 If you want to change how your audience thinks, how they innovate, and how they implement may be Shift Happens! ® Jim collaborates with organizations to -evaluate problems, -create a vision where others aren't looking, -capture what others are not seeing, -increase stakeholder value, on the Journey To Bright Ideas. http://www.eved.com/blog/harnessing-innovation-for-your-dmcs-success The question is whether or not you are creating 'bright ideas' or simply doing Business As Usual (BAU) on your path to success. Whether applied to customer service or product innovation, the concept of change is normally disruptive. Jim helps your audience understand how 'shifts' can take place that benefit everyone involved. He challenges conventional wisdom and presents a common sense, inspiring advice, and demonstrates how it is possible to reinvent yourself and hurdle barriers, leaving you more creative, innovative and productive in both your work and personal life as well. WARNING: Not everyone will agree with Jim.He is controversial, and driven. He will push the audience to see things differently, take them to the edge of his insights and enjoy his humor, and shift the way they think. With the daily changes, we all need to have a better understanding of how to deal with all of this ‘shift.’ I will share with your audience how to anticipate, prevent and handle mishaps. With your permission, I will create an IDEA EXCHANGE to develop hundreds of ideas to create competitive differentiation. I share my knowledge, in a lively, humorous and spirited style peppered with entertaining tales of actual stories, mishaps, misunderstandings, and delays. As the author of 14 books, hundreds of articles and speeches, my presentation gives tips on what do for your customer when they are stressed out, unhappy, and leaving you for your competition. Learn ‘what to know before you go’ on the Journey To Bright Ideas. Ask me how you can obtain a copy of the limited edition artwork he had commissioned (shown in the inset) to help map out the fastest path to reach the summit of Bright Ideas. You want to make 'shift' in the audience's thinking, give me a call.